My mode of transportation today was on foot and on the subway. No car travel for me today. Jimmy and I were wondering if the actual car to car impact accidents in the city have less serious injuries because you're not going as fast? As opposed to car to car accidents on the freeway. On the flip side of that though, San Francisco has one of the worst records of pedestrian deaths and injuries in the nation. If it's a competition between car versus human, the human will always lose. 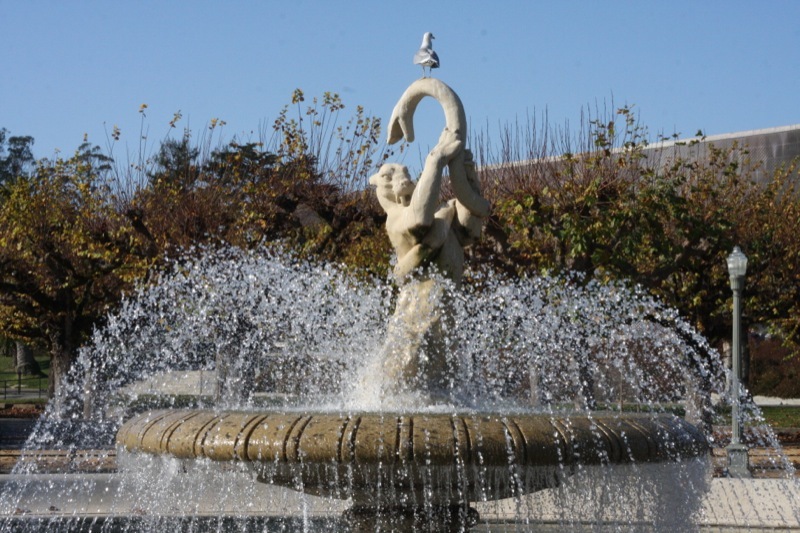 The center fountain in Music Concourse in Golden Gate Park. 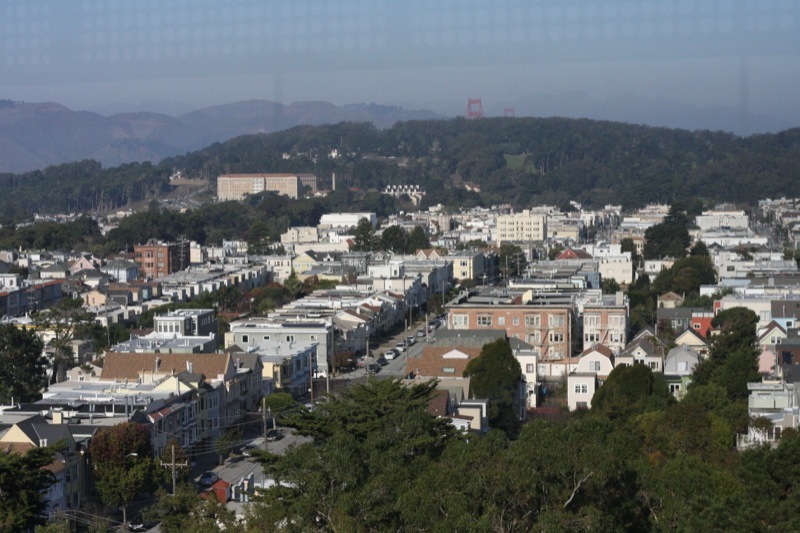 A glimpse of the Golden Gate Bridge from the observation tower in the de Young Museum. You look to live in a beautiful part of the world. The weather looks glorious I wish we had a bit of your warmth - it is very cold, wet and windy here.